The F3001 is so easy to use there's no special training required. The few knobs and buttons are generously sized for easy operation and are designed to provide non-slip, positive action — even while wearing gloves. A new high efficiency FET of the F3001 reduces consumption current and provides 20 hours* of operating time with the BP-265, 1900mAh battery pack. While the radio is a compact unit with a height of only 111mm (43⁄8 inch), the radio is tested to dust protection and water resistant equivalent to IP54 and 11 categories of MIL-STD-810 environmental test. 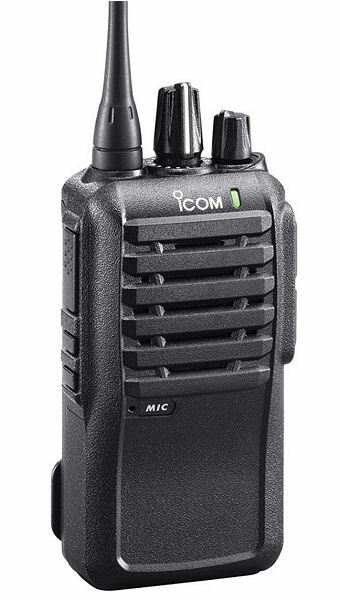 In short, the IC-F3001 series is built rugged!